The TwinSense™ filter provides flavour on demand through two capsules in one filter tip. This premium product from Essentra offers increased options for users than that of a single capsule. 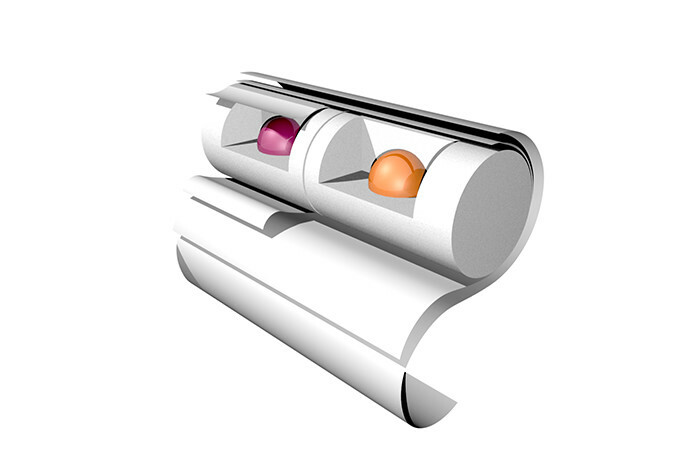 Combining two cellulose acetate segments, each with a precisely inserted flavour capsule, the dual rod can consist of any mix of segment lengths – a range of sizes available – with a king-size circumference. The base rod uses Wattens non-porous coated plug wrap while the combiner wrap is non-porous. Each construction enhances brand and suits customer taste and filtration requirements with various flavours offered including menthol and fruits. A ‘boost’ product is also available, comprising a capsule plus pure menthol flavour within the same segment.